For years I am looking to convert my American ICAO FAA instrument rating (IR) to a European one (EASA). This was impossible until new legislation came about early 2014, effectively rendering private flight by people who were serious with their flying in Europe, more unsafe instead of safer. This story details the process I went through to convert it to show an example to the European pilot community. If you have the required 50 hours instrument experience, it is simple, inexpensive and doable in a couple of week’s time. 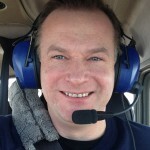 I am holding a Belgium issued EASA Private Pilot License (PPL) with a SEP(land) class rating, an English level 6 proficiency and the night rating. 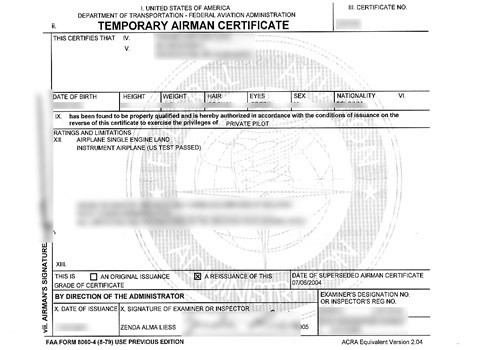 Based on that EASA license, I also have an FAA piggyback private pilot license as per FAR §61.75. An FAA instrument rating (IR) was added onto that private license in 2007. At that time, I choose to take the FAA route due to lack of time and lack of willingness to spend the quadruple money on a JAA instrument rating. I am an airplane renter, and fly mainly in Europe and the USA. I found it increasingly difficult to find American registered N-reg airplanes to rent near me in Belgium, turning my FAA IR useless in Europe. So I did have an urgent need to obtain a EASA instrument rating, next to my FAA one. I have about 75 hours of IFR time as PIC: this is all flying under IFR and as PIC, excluding all training hours before the actual IR. A specific log was made detailing all these hours. I have a Belgium issued Class 1 medical certificate. Various ways to convert the FAA IR to an EASA IR were checked, but until recently never found the perfect way. The UK 15hrs EASA conversion route is not available in Belgium. I didn’t have the time, or courage to waste time on studying 13 exams, and redoing 50 hours of instrument training for a skill I already possessed and used safely and extensively in Europe and the US. I had followed the whole debate which was trying to exclude N-reg airplanes out of Europe. The ensuing EASA NPA round was answered diligently. The FCL.008 route had a chance to succeed, but I remained very weary of the probability. Then last year or so, things started to change at EASA and I heard that initially France was adopting common sense stance towards a EASA private pilot instrument rating. Halfway March this year, a thread on the Euroga.org forum informed me about the new CB IR legislation . (c) have a minimum experience of at least 50 hours of flight time under IFR as PIC on aeroplanes. I checked the law, the AMC (Acceptable Means of Compliance), counted my hours under IFR as pilot in command (PIC) and came the conclusion that this should be a feasible route for me towards an easy, low cost EASA instrument rating “conversion”. This new law is adding a theoretical portion to a skill test, new for all parties involved. This positive turn of events really surprised me as I was prejudiced for many years on the possibility to pull this off. I contacted the Belgian CAA with this request, and again to my surprise, the advisor simply told me that he just needed to assign an Instrument Rating Examiner (IRE), and asked me for my preferred IRE. I gave him a name and that IRE was accordingly assigned to my case. I called that IRE and he briefed me how the skill test would be conducted: the route, the theory, the practical side. 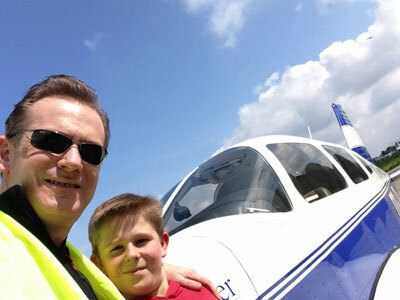 He particularly questioned if I had more than 50 hrs if IFR time as PIC, and if the airplane was in fact IFR approved. He said that the theoretical part of that skill test would be pragmatic and related to the conduct of the flight. So far, so good. Note that in no way I was assigned or connected to an ATO (Approved Training Organization). This whole process runs outside of the expensive ATO world. Although I was instrument current as per FAA, I still felt unsure on how the skill test would be conducted, primed by possible differences in testing behaviors between FAA Designated Pilot Examiners and EASA IREs. Also, I was totally in the dark on how profound the theoretical questioning would be. So I booked and conducted five flight hours with a EASA IRI(A) (instrument rating instructor airplanes) on the airplane in which I planned to do the skill test. We test-flew the routes that the IRE had briefed me. I actually learned new instrument skills and brushed up old ones. This was a very good thing to do in preparation of the skill test. Next to that I also flew 10hrs solo IFR in the US on my FAA IR, and 3 hours solo VFR, practicing IFR in Belgium & France. Next to that, I studied all relevant theoretical items I could find in ATPL study books (theoretical knowledge of air law, meteorology and flight planning and performance (IR)). I spend a lot of time in my free time on this, and with hindsight, I probably overdid this. Let’s say a total of 25 hours of study after hours or during airliner rides (in the back). The weather was hairy on the day of the skill test. An occlusion front just was crossing our intended route, so it was unsure if the skill test, even under IFR, would happen. I had thoroughly prepared the test: printed out all weather info, NOTAMS, flight log, charts, maps, POH, etc. We started off with the theoretical portion first. I needed to prove that I had more than 50 hrs IFR time as PIC, he checked my licenses and did some sample checks in my logbook. I was asked to give a practical but in-depth briefing of the preflight IFR flying preparation (weather, weather codes, notams, plog, charts, maps, regulations etc.) and talk through the flight while he explained what he expected from me in-flight (checklists, radio frequencies, navaids, holdings, approaches etc). I felt that all this was ‘normal knowledge’ to me for a pilot who is experienced in flying on instruments in Europe. Nothing exotic or far-fetched, yet thorough. 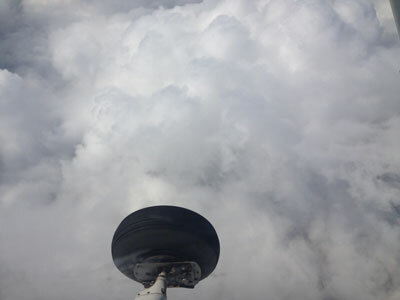 Then the weather was just moving north of our route, enabling this skill test flight to happen in IFR. The skill test contained all the ingredients as in the AMC, and very similar in difficulty level as the FAA IR skill test. So, yes, it happened as expected. We flew in the IMC remainders of an occlusion with 35 knots winds. A hold looked weird, but was correct. We had an issue with receiving VORs properly, which required some creative fumbling. It turned out to be an interconnection problem unrelated to my skills. He liked the way I handled it. In short: a real-life IFR flight in actual IMC, so from that part more taxing than the FAA skill test in VMC, but nothing extraordinary if you have more than 50 hours under the belt. After the flight, the IRE congratulated me with the conduct of the flight. I guess she was surprised to see experience at an initial IR skill test. Then we dove into a myriad of paperwork that resulted in a updated license two weeks later in the mail – no questions asked from the Belgian CAA. It took a while for common sense to prevail, but now we have a feasible route to convert an experienced pilot with an ICAO instrument rating to a EASA Instrument Rating. Over are the days of gold-plating and ATO monopolies. The process works, nothing is extra-ordinary nor overly expensive anymore. Thanks to all involved in changing the law for a safer sky. And I am glad to claim to be the first pilot to have gone through this route. Hope many fellow pilots will follow ! In my logbook, I log actual IMC hours in the IFR column as per my earlier FAA IR rating. I did reconcile these hours back to full-under-IFR hours in excel later when I had to prove these in order to obtain my EASA-IR ratings. Good on you! Life rocks … go for it! Great write-up, many thanks for sharing your experience ! Here’s where I am starting from : I hold a valid EASA PPL, medical class 2 and language proficiency level 6. To gain an EASA IR, I guess there are 3 options : pure EASA, or the ICAO-based conversion, either full or competency-based. From what I read, the ICAO CB conversion would be by far the most economical path, right ? With as many hours in the US and sims as possible to further reduce costs. If things are so clear and easy, why would anyone still opt for a full EASA IR route ? Where’s the catch ? In order to do the ICAO CB conversion route (as I have done), you do need to prove 50 hrs logged under IR. That makes this way rather uneconomical or more protracted. I now believe that the full EASA CB-IR with one step at the end is the best route for European EASA PPLs. It is gradual and teaches you literally “on the fly”. I think there is a new rule concerning the CBIR stating we should pass a written exam as well. I have a FAA PPL. I also hold a UK EASA PPL. Do you think it would make sense to go to the US to the instrument rating ubder my FAA licebse, then come back to Europe and go for the CB-IR following the same route you followed? Or would it better to start the IR under my EASA license? My question has to do with cost and time. Do you know anyone that has gone that route recently? The route that you describe is certainly possible, but keep in mind that you must prove 50hrs time under IFR before you can do the EASA conversion. Last year, EASA opened up the possibility to to an enroute-IR first, which then can be converted to a full IR. This also looks like a sensible route to me. In the UK, you can also do the IMC rating first, offering you additional experience that you can use (I think) in your full competence-based IR. For more experiences on this topic, I propose you check out this forum: http://www.euroga.org, and/or become member of PPL/IR, an organisation that focuses on cases susch as ours.